Ch7HD will deliver the up-to-date quality content to everyone. Channel 7 perceived people's lifestyle by provided content to serve directly on your mobile people anywhere anytime. 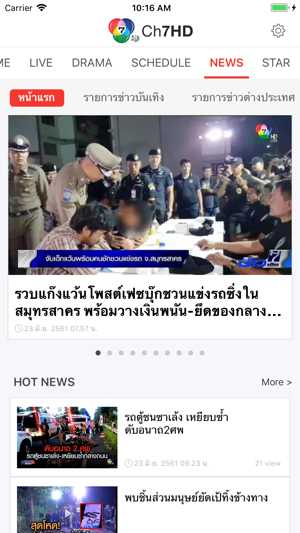 Ch7HD is the application which is provided the up-to-date news, program information, synopsis of drama, star's profile and every activities of Channel 7. Ch7HD is the high definition video and live streaming which also available on both iPhone and iPad. Enjoy watching Channel 7 Anywhere Anytime! Bug fixes and performance improvements​. Where do I even begin?! 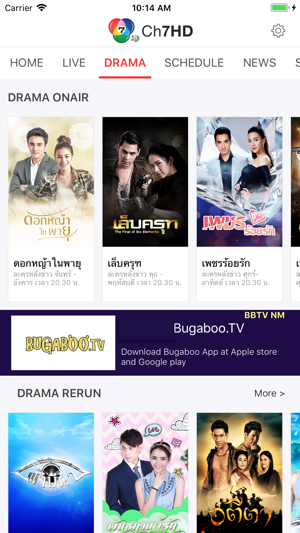 I've downloaded this so I can watch some of the lakorn from this channel. It's IMPOSSIBLE! It would tell me...video no longer available or this apps isn't US compatible. WTH?! If anything...remove this apps along with all the other apps that is associated with this channel. 😡 FYI doesn't even deserve a star! App doesn’t work from my smartphone. © 2011 BBTV New Media Co., Ltd.